Showers of various sorts were the major current flowing through Barber the last couple days and an odd Monday finish left fans feeling less than quenched. 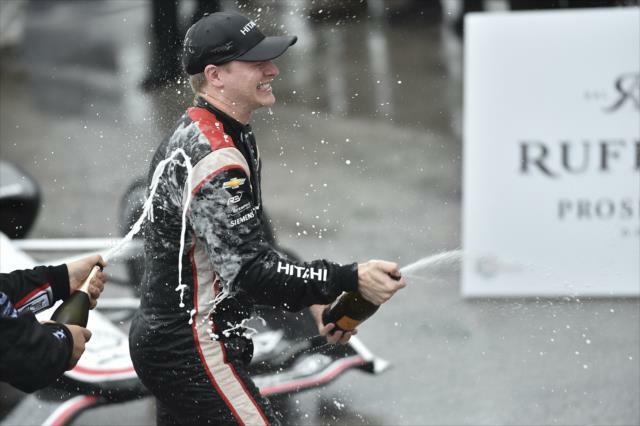 The weekend was a mess for most, although the heavy showers proved golden for Josef Newgarden, winning for the third time on his home track. 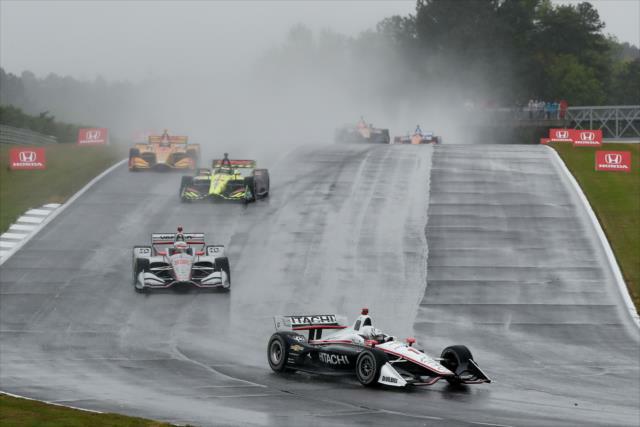 Pouring rain Sunday halted the race after 23 laps, run largely under caution or at caution speeds. Not one but two red flags also appeared, finally delivering the drenched drivers from their soaked cars. Safety was the concern as visibility was nearly non-existent, although that probably should have been clear after the first few laps rather than requiring multiple red flags. A single file start under caution proved anticlimactic, or would have if anyone could have seen it. The race went green on the second lap and cars tiptoed around the near constant corners, sliding as they went. The plumes they emitted made viewing – much less driving – extremely difficult. 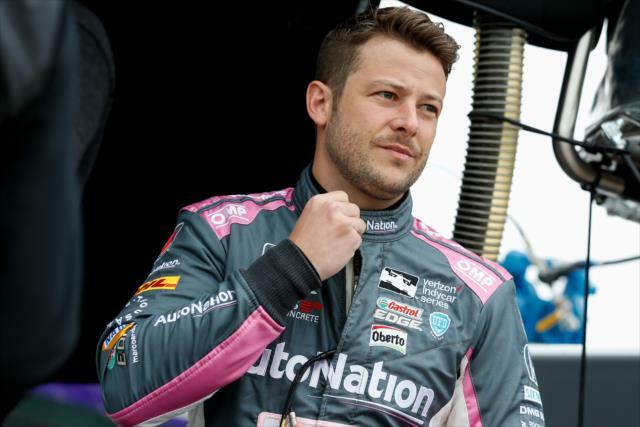 American gunslinger Josef Newgarden obliterated his opposition outside Phoenix Saturday night, leaving a trail of IndyCar carnage stretching clear to Canada. As bad as it was for Robby Wickens, it was Coyne crew members who again got the worst of it. The race started with an all day-glo – and all French – front row at what Townsend Bell called “this hot, nasty track.” Then again, it almost didn’t. 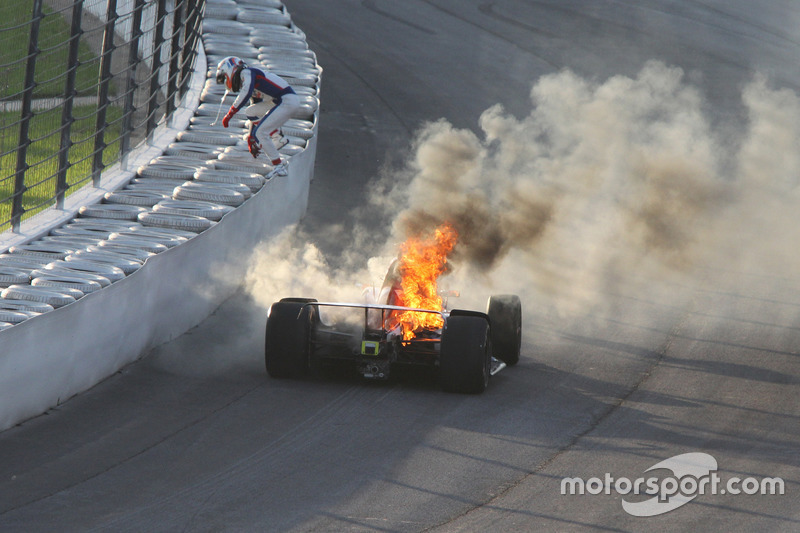 Surprise pole sitter Sebastien Bourdais‘ car stopped dead on pit lane, requiring the help of Robert Wickens’ – or “Wiggins” as TBell calls him – crew to refire his Honda. It wouldn’t be the last issue SeBass had on pit road during the evening. RHR and Marco went high at the start and gained several spots while a now functioning Bourdais pulled away from Pags. Wickens gained a position and joined the top five as the Frenchmen at the front battled early traffic. A hard charging Rossi challenged Pags for the pass before nearly losing it on the apron and drifting high up the track. Narrowly avoiding disaster, he wasn’t done yet.